Operating Poles are normally supplied in a standard 1,220mm (4ft) length, however other lengths such as 2,440mm can be provided. The sections are interconnected with precision manufactured snap action joints, in order to make up a longer length operating pole, if required. 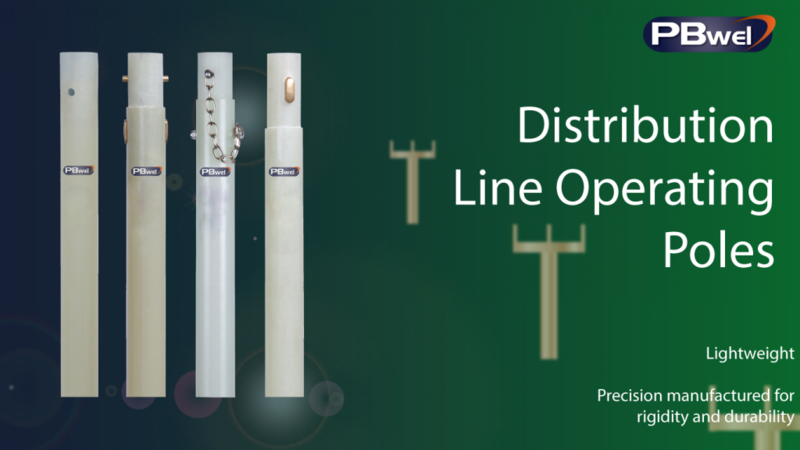 A range of top section operating poles is available to ensure that any commercially available operating head, socket or accessory can be accommodated. These are secured using plungers, split pins, or rivets. A number of intermediate poles can be selected to make up longer length poles. The precision snap action joints and tight tolerances minimise flexure of the pole assembly. The lower pole can be supplied with a non-slip grip to provide a guaranteed grip and a rain shield can also be fitted to keep this section dry. Plugs or bungs can be fitted to the bottom of the pole to prevent the ingress of mud and dirt. A swivel eye can also be fitted to an end plug where the linesman can attach a lanyard if preferred. A bag can be provided for careful storage and handling.